What kind of movement do we need? What kind of organization? 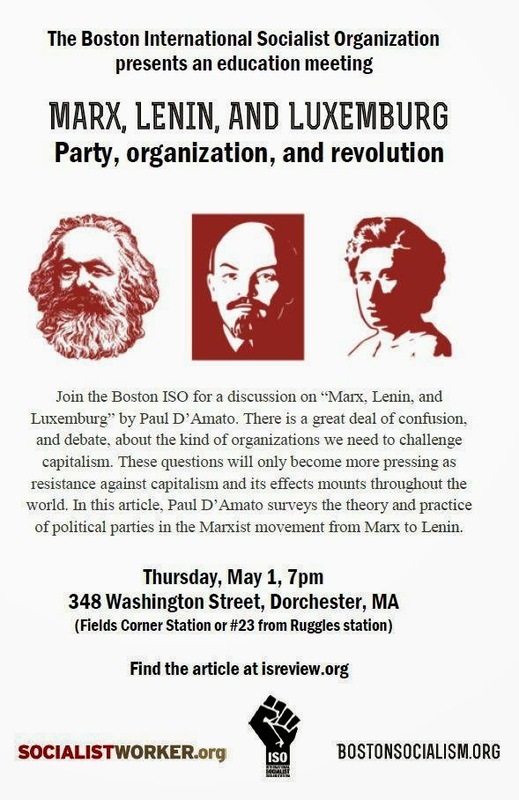 Join the Boston ISO for an educational discussion on "Marx, Lenin, and Luxemburg: Party, organization, and revolution" by Paul D'Amato. There is a great deal of confusion and debate about the kind of organizations we need to challenge capitalism. These questions will only become more pressing as resistance to capitalism and its effects mounts throughout the world. In this article, Paul D'Amato surveys the theory and practice of political parties in the Marxist movement from Marx to Lenin.